QUEZON CITY, Philippines (CNS) — The former head of the Federation of Asian Bishops’ Conferences has challenged the continent’s church leaders to evangelize by being a church of the poor. In a talk March 10 before an audience of theology students, religious and clergy at the Loyola School of Theology of the Ateneo de Manila University, Cardinal Quevedo said telling the story of Jesus through dialogue between cultures, different faiths and with the poor will be the most effective mode of evangelization in Asia. According to Pew Research Center statistics from 2011, the world’s poorest people live in Africa and Asia. In an interview with Catholic News Service after his presentation, the cardinal pointed out that Africa and Asia are also where Catholicism has been steadily increasing. Of the 21 member and associate member countries of the Federation of Asian Bishops’ Conferences, only the Philippines and East Timor are Catholic majority countries. 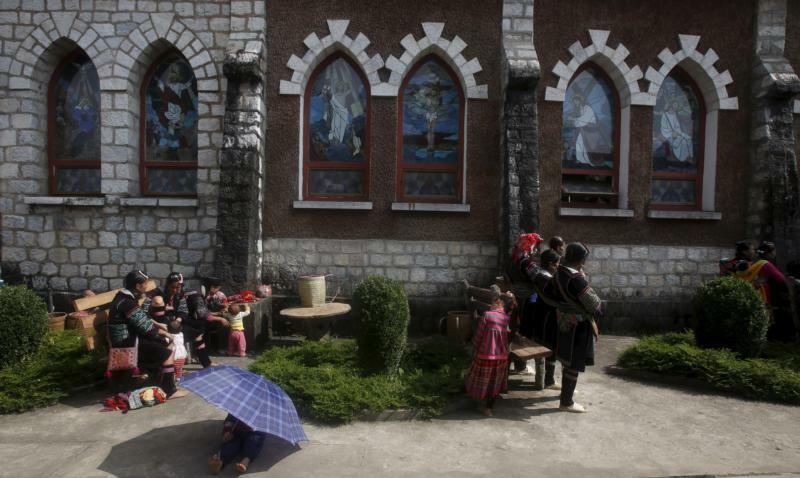 South Korea has one of the fastest-growing Catholic populations in Asia. Cardinal Quevedo, who was president of the FABC from 2005 to 2011, told CNS bishops in Asia face a challenge. He said the Asian church has to move forward with new evangelization. 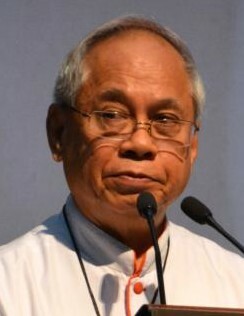 In his presentation, Cardinal Quevedo said there were other challenges for the church, such as not being taken seriously, especially in trying to work as “prophetic evangelizers” who have to go against the “contradictions of Asia.” Those include increasing economic globalization while poverty continues to grow because of migrant and refugee movement. But Cardinal Quevedo said that even with the challenges, the new evangelization efforts of the church in Asia are starting to bear fruit. He told CNS this is most apparent in Asia’s basic ecclesiastical communities, in which the church is “brought to the people” or taken to the grass-roots level and lets the laity, usually in poor communities, become more actively involved in serving, leadership work and church life in general. Javier Beltran-Aceves, 28, a Xaverian seminarian from Mexico, attended Cardinal Quevedo’s talk.